One of the first Saturday sessions at Returning the Gaze II: Stories of Resistance was led by Mohamed Wa Baile (a playwright, scholar and activist with Allianz gegen Racial Profiling) and Gloria Holwerda (the artist behind the A Sint You Want intervention, and the founder of INARG: the InterNational Anti-Racism Group). The topic was ‘strategies and campaigns’, with a focus on resisting racial profiling in Switzerland, and racist imagery in the Netherlands. The binding threads between Wa Baile and Holwerda’s work are important. The existence and perpetuation of racist imagery in ‘entertainment’, packaging, marketing and branding sets the stage for an environment in which – as Wa Baile asserted- “race or ethnicity is used by law enforcement as a basis for criminal suspicion”. 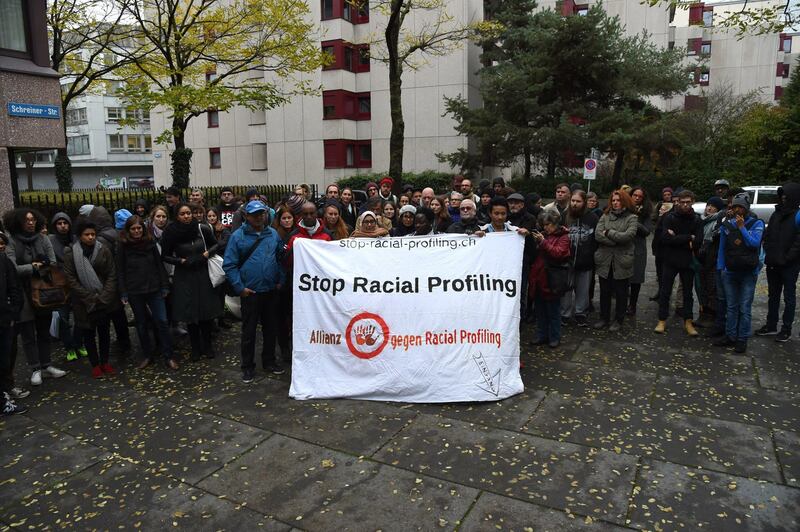 The Allianz gegen Racial Profiling (Alliance Against Racial Profiling) in Zurich via Facebook. Wa Baile noted that police in Switzerland behave in a seemingly pleasant and friendly fashion whilst asking people to show their documents. To a passerby, these interactions may seem innocuous, but when it happens to someone over and over again, Wa Baile explained, they begin to question the ‘random’-ness of these so-called random stop and searches, and document checks. The same applies to Gloria’s example of the presence of a blackface character in Sesamstraat, until pressure from INARG forced the show to ditch the character. The same also applies to the continuing presence of a blackface character in Donald Duck, and until 2015 the host of blackface Zwarte Piets in the Dutch children’s TV programme Slot Marsepeinstein. I found Gloria’s gallery of images presenting blackface, after blackface, after blackface deeply affecting- like a round of punches, with each stinging more sharply than the last. A still from Slot Marsepeinstein via Youtube. I’ve had conversations with many self-identifying liberals who are quick to describe such occurrences- of both racial profiling by police, and the use of racist imagery to sell products and entertain audiences as, at worst, ‘well intentioned’. This type of analysis is misguided- the question should be not what is the intent, but what is the effect. Well, the effect is in some senses simple to measure: a Dutch national news website counts a daily average of 35 reported instances of police violence in the Netherlands, including the murder by asphyxiation of Mitch Henriquez by a police officer in 2015. Earlier this month, on the 19th November, protestors called for justice for Hervé Mandundu- an unarmed man who was murdered by police in Bex, Switzerland. This is one of numerous examples of police brutality, and the impunity officers receive when attempts are made to hold them to account for their racist attacks. The impetus and result of racist imagery is clear: as long as black bodies continue to be considered by some as fair game for mockery and mimicry in order to sell festive chocolates, communities of colour are disrespected and dehumanised. And, as rapper and poet Akala says- once you dehumanise a person, you create a mandate for their murder. Sign and share this INARG petition demanding that toy manufacturer Mattel Inc stop making and selling the racist toy “Junkyard Dog”. This petition will be available online until 31st December 2016. 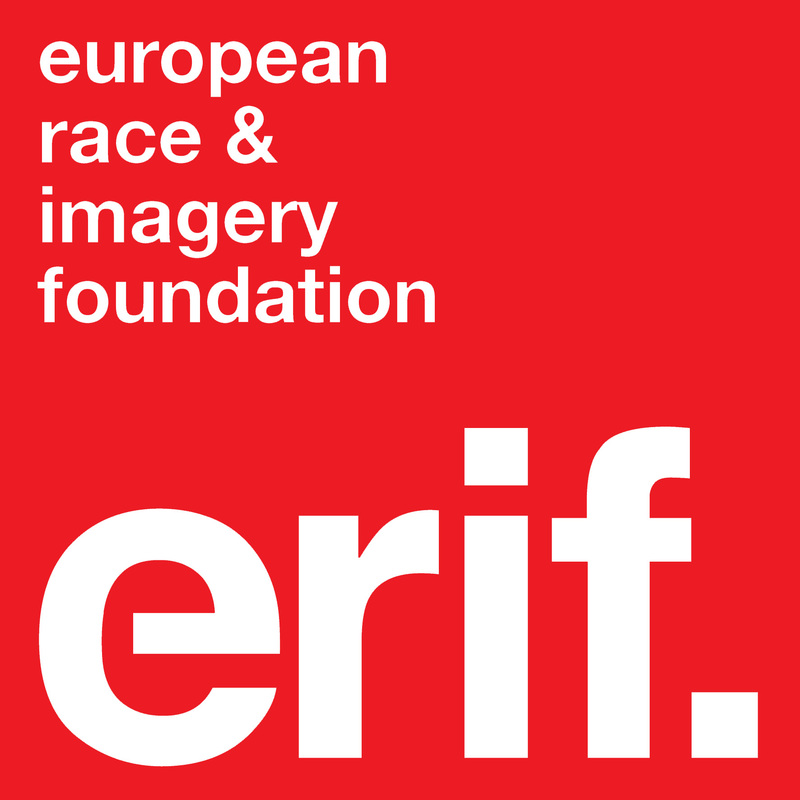 Use the ERIF blog space to discuss issues of racism and imagery in your local community and to promote your campaigns and strategies to combat it.